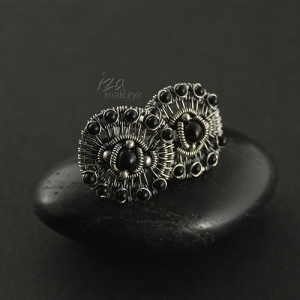 They were made of onyx and oxidised and polished sterling and fine silver. The heads were 100% hand-made and are set on comfortable mechanisms. The heads are 2cm in diameter.